Tip # 1. 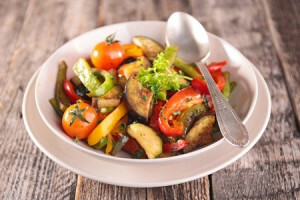 Five Super Foods for Methylation and Detoxification: What is methylation? We have bio-chemical methylation pathways in every one of our 70 trillion cells. This is the beautiful design of the human body to heal and stay vital in ideal or not so ideal environments. Methylation involves detoxifying heavy metals like mercury, lead, and cadmium (found in food, air and water). It supports detoxification of many other environmental toxins as well. Methylation regulates “gene expression” by dialing down the “bad genes” we may have inherited. The more efficient and active our methylation pathways are, the healthier we can be as we age. Efficient methylation affects how well we prevent dis-eases like cancer, heart and circulatory problems, G.I. problems and much more. Our standard American diet (SAD) is not generally high in sulfur, and foods high in sulfur are considered among the “super foods” and will help us methylate! Here are the 5 top notch foods containing sulfur that support methylation pathways: GARLIC, ONION, GINGER, BROCCOLI FAMILY, and EGGS. (note: there is no research that has found eggs to be the cause of high blood fats and cholesterol – I recommend them – if you like them – about 2-3 times per week). Tip # 2. Seek out omega 3-rich foods. We never use to have to think about this. We do now! Our standard American diet (SAD) is virtually devoid of omega 3 healthy fats. This is not an optional nutritional ingredient! We naturally ingested this type of fat until things began to change in our agricultural system in the 1970’s and 80’s. If we are going to be healthy agers and prevent inflammation and the myriads of problems that come with that, we must ingest omega 3 rich foods and supplements as well. Supplementing with a quality fish oil product is smart and strategic in this endeavor. We are no longereasily able to achieve it in our diet, unfortunately. We will then have the building blocks to create healthy vibrant, flexible, and lively cell membranes when we get enough omega 3’s. Here they are: QUALITY FISH OIL, HEMP OIL, FLAX OIL, HEMP, CHIA SEEDS, OR GROUND FLAXMEAL, and WILD FISH. A quality fish oil product may be the easiest way to assure this. Add to this the delicious “sprinkle foods” hemp seeds, chia seeds, and freshly ground up flax meal. Walnuts and pumpkin seeds to a lesser degree are also nice sources. Tip #3. Eat these heart healthy foods that keep arteries singing and may support healthy blood lipid profile! The winners in this catagory are: OATMEAL or OATBRAN, LENTILS/BEANS, APPLES and BERRIES, GARLIC, ONIONS, AND ALL FRUITS AND VEGGIES TOO! The above foods have high levels of “soluble and insoluble” fibers,both support cholesterol and fat metabolism. AVOCADO, ORGANIC PEANUT BUTTER, and OMEGA 3’S arehealthy fats, that have been shown to benefit the circulatory system too! Call, text or email for an appointment! I’m here to support you in creating the best possible life for yourself and your loved ones! I care deeply about the health and longterm well-being of my clients, many of whom I have been working with for up to two decades. 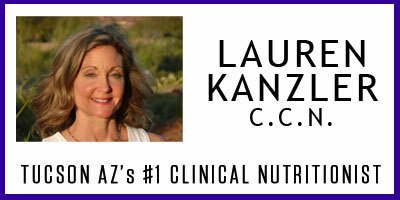 Lauren Kanzler is a Tucson-Based board certified clinical nutritionist specializing in weight management, eating disorders, G.I. health, diabetes and health-overhauls. Have you spent years thinking enough is enough and want to turn your health around, make those changes, but need help? 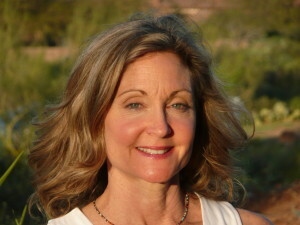 Then you are like the 1000's of clients I have helped in Tucson, AZ for over 37 years.